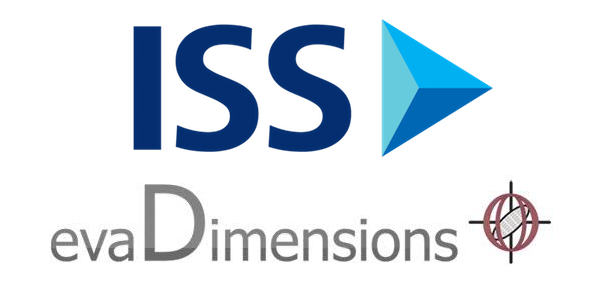 Institutional Shareholder Services (ISS), the largest proxy advisory firm in the U.S., acquired research firm EVA Dimensions last month to improve the quality of the fundamental research it gives to its clients. ISS, which advises shareholders on proxy votes surrounding corporate governance and executive compensation, may begin implementing EVA Dimensions’ models into its recommendations as soon as next year. This acquisition signals an increase in institutional investor demand for more fundamental research and the diligence it implies. Sophisticated investors want metrics that go deeper than reported earnings so they can get a truer picture of cash flows and hold companies accountable for capital allocation. To achieve improved levels of diligence, research and advisory firms must leverage technology to diligently analyze all available financial data. The acquisition of EVA Dimensions continues ISS’ trend toward more diligence on fundamentals, i.e. 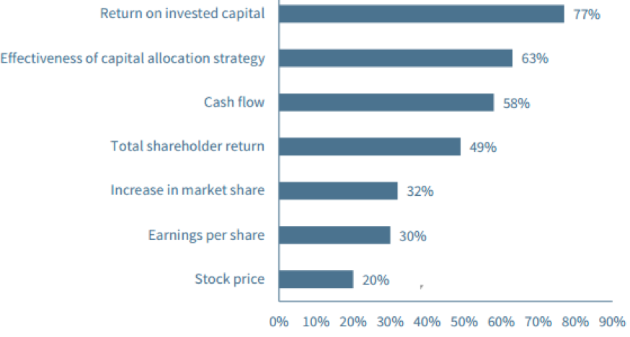 economic earnings and return on invested capital (ROIC), and away from focusing almost purely on Total Shareholder Return (TSR). After facing criticism for promoting short-termism on corporate boards, ISS began including ROIC in its analysis last year. Figure 1 shows why ISS has moved towards greater fundamental diligence. A 2016 survey by Rivel Research found that 77% of buy-side investors chose ROIC as the best performance metric for determining management pay. Only 49% approved of TSR. In recent years, activist investors have pushed companies such as General Motors (GM) to adopt ROIC as part of their executive compensation plans. ISS is following the market’s lead. While he doesn’t explicitly name ROIC, Fink makes it clear that companies should be measuring and holding executives accountable for long-term cash flows, which requires good stewardship of capital. When the CEO of the largest asset manager in the world takes this position, it should be no surprise that ISS follows that lead. ROIC and EVA are not new metrics, as this 1996 CFO Magazine article, “The Metric Wars”, shows. Investors and institutions have wanted fundamental diligence around these metrics for a long time. During the 1990’s, several consulting firms competed with one another to provide corporate clients with advanced metrics. Technological limitations made a narrowly focused consulting model the only viable option at the time. It took expert analysts a great deal of time to go through financial filings and manually make adjustments to convert GAAP earnings into economic earnings, EVA, CFROI, or whatever they wanted to name the metric. As a result, firms developed opaque, proprietary metrics that they offered solely to consulting clients. When the euphoria of the tech bubble made fundamental diligence seem unnecessary, few companies were willing to pay for these expensive consultants anymore. As ROIC and economic earnings were pushed to the side, easier-to-measure Total Shareholder Return arose as the primary goal for boards and executives. Instead of focusing on the underlying business, companies made their stock price the key barometer of success. ISS fed into this trend by advocating for companies to link executive compensation to TSR. Between 2004 and 2013, the number of companies using TSR as a performance metric doubled. Now, however, the tide is shifting back towards fundamental diligence. High profile blowups such as Valeant (VRX) showed what can happen when executives try to pump up the stock price without accountability for capital stewardship and the long-term health of the business. Academic research shows that TSR does a poor job of aligning executives with shareholder interests. In addition, some of the technological limitations that once held back mass production of financial models have been overcome. Machines can automate significant portions of the modeling process, which allows EVA Dimensions to calculate EVA and a variety of other metrics for 12,000 companies. Now that ROIC-based metrics are available at scale, no one has an excuse to ignore them. Calculating better metrics is only half the battle. As financial institutions re-engage with high quality fundamental analysis, they will also focus on the quality of the data and models used to produce key metrics. Simply running a traditional data feed, like Compustat, through a large number of models does not constitute diligence. Traditional data feed providers leverage thousands of human data gatherers, usually in 3rd world countries, to manually collect financial data from financial filings. Not only is this process out of date, it is also slower, less comprehensive and prone to error. As we’ve written about in our recent series on artificial intelligence in finance, the combination of human expertise and computerized processing power can radically improve the quality of fundamental research. The latest in technology allows for more efficient and accurate collection and modeling of financial data, which provides far higher quality fundamental analytics as demonstrated in the recent Ernst & Young white paper, “Getting ROIC Right”. The term for this new data collection and modeling technology is Robo-Analyst. Harvard Business School features the powerful impact of research automation technology in the case New Constructs: Disrupting Fundamental Analysis with Robo-Analysts. A Robo-Analyst employs machine learning to constantly improve its capabilities based on the input of expert analysts. In addition to gathering all the data that the traditional firms get from financial statements, it also finds hidden items in the footnotes and MD&A. By utilizing a more comprehensive data set, it provides meaningfully superior calculations of ROIC and economic earnings. Research automation not only allows for more diligence, but it also allows for superior diligence. Companies such as BlackRock (BLK) and UBS (UBS) have invested heavily in artificial intelligence capabilities to improve their efficiency and generate superior returns. ISS’s acquisition of EVA Dimensions serves to validate and reinforce the move to embrace technology-driven fundamental diligence. Companies such as BlackRock and UBS get first-mover advantage for leading the charge. Other firms risk reputational damage if they do not follow suit. This article originally published on April 4, 2018. 2 replies to "ISS Buying EVA Dimensions Signals More Focus on Fundamental Research"
New Constructs should take into consideration of the above metrics instead of focusing on ROIC alone. We do take into account economic earnings margin and growth, as well as the market-implied growth rate, in our evaluation of stocks. However, all of those metrics are based on an accurate calculation of ROIC, which is why we focus on that metric for the purposes of this article.